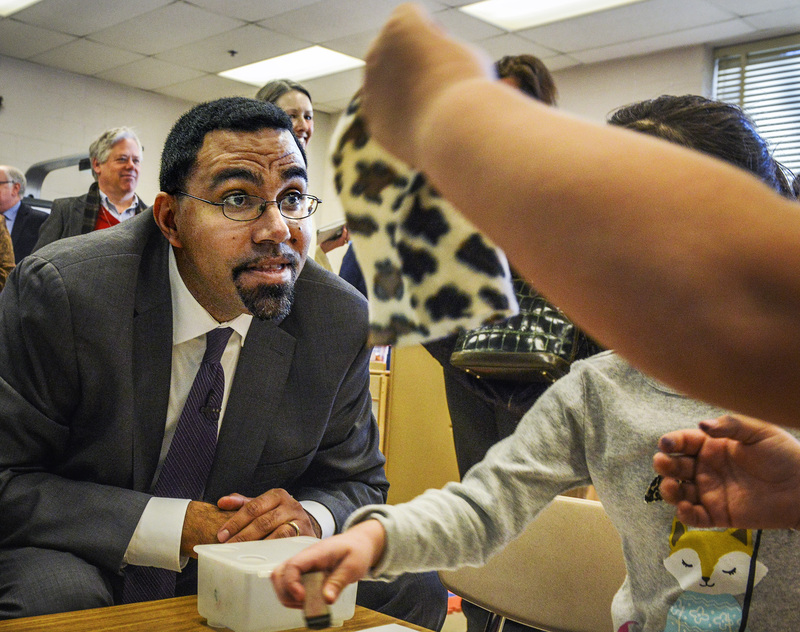 U.S. Secretary of Education John King, Jr. recently traveled to California to address the CABE 2016 (California Association of Bilingual Educators) conference. While there, he delivered an address on the importance of bilingual education. He challenged attendees to view bilingual education as a means to prepare students for a globalized economy, foster cultural understanding, and ensure equitable opportunities for English language learners. “One need look back only ten or fifteen years ago to see many folks making the wrong-headed assumption that students speaking a language other than English at home were a deficit, an obstacle, a problem to be fixed. But we’ve shifted. “Thanks to your hard work, the conversation has shifted, and we now have a better appreciation — I think not only here in California, but across the country — that bilingualism is an asset. Having the ability to speak multiple languages is a strength and an asset to be leveraged on behalf of student success. “We have a growing body of research that makes clear that students who are bilingual have advantages, not only in their literacy development, but in the development of problem-solving skills and other areas of cognition. What we see now is that bilingualism is a gift that we can give to our students and to our communities. And that is a powerful shift in our historical perspective on bilingualism. “We also understand more clearly the importance of bilingual education to students’ understanding of self and community. Nelson Mandela once said, ‘If you talk to a man in a language he understands, that goes to his head. If you talk to him in his language, that goes to his heart.’ That’s a powerful statement. “If we give students the gift of bilingualism, of multilingualism — if we give students the gift of those skills and those opportunities — they have a better sense of themselves, their community, and their future, and a better appreciation for our diversity as a country. As Tom said, we aspire to a day when every child has the opportunity to be bilingual or multilingual and we have much work to do to pursue that goal. “We know that our competitiveness as a country depends, in part, on advancing that goal. A recent survey of California employers showed that a majority of employers, across all sectors, small business, large business, want and prefer bilingual employees. We know that our international competitors often do a significantly better job of preparing bilingual students. And so, we’ve got work to do as a country to ensure that we embrace bi-literacy and multi-literacy. Like Secretary King, we know that the future will be more and not less multilingual. To understand how add.a.lingua helps prepare students for an increasingly global landscape through implementation and support of quality dual language immersion programs, visit add.a.lingua.com/understand.